Fits the Wingmaster and Express Mod.870 shotguns. Makes the shotgun easier to conceal and maneuver in tight places. 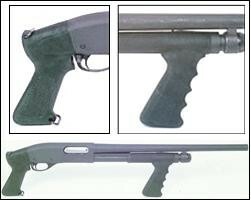 Angle and shape of grip gives the shotgun good control while firing.